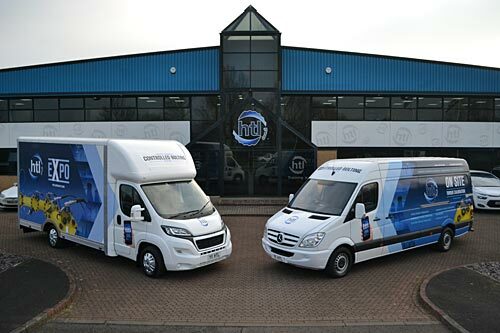 HTL Group, specialists in controlled bolting equipment continue to focus on second to none customer service with the latest addition to their Customer Support Fleet; the HTL Expo Mobile Unit. Headquartered in Cramlington, Northumberland with a number of strategically placed global facilities, HTL Group offers a wide range of solutions including: OEM controlled bolting equipment, flange working equipment, portable machines, high pressure solutions, and fully approved training. The Expo Mobile Unit, together with HTL’s fully equipped Calibration Unit, brings HTL services direct to customers at their convenience. The Expo Unit is essentially a mobile HTL exhibition which can be booked to visit customer premises anywhere whether that be office or remote site locations. It offers access to safe and innovative product presentations, minimising interference to your daily schedule.